Every bone, tissues, and tendon in the body is a part of the skeleton system and a potential contributor to orthopedic ailments (muscles, ligaments and joints injuries). There are ways to prevent some of the minor injuries, and the best ways to prevent injuries to your bones and tendons is to keep up an exercise plan. Stretching, running walking and aerobic helps not only the cardiovascular system but your bones and joints. General, Infographics bone density, bone health, exercise, Fitness, healthcare, healthy joints, joint pains, orthopedic ailments, orthopedic disorders, osteoporosis, pain, spine health. permalink. 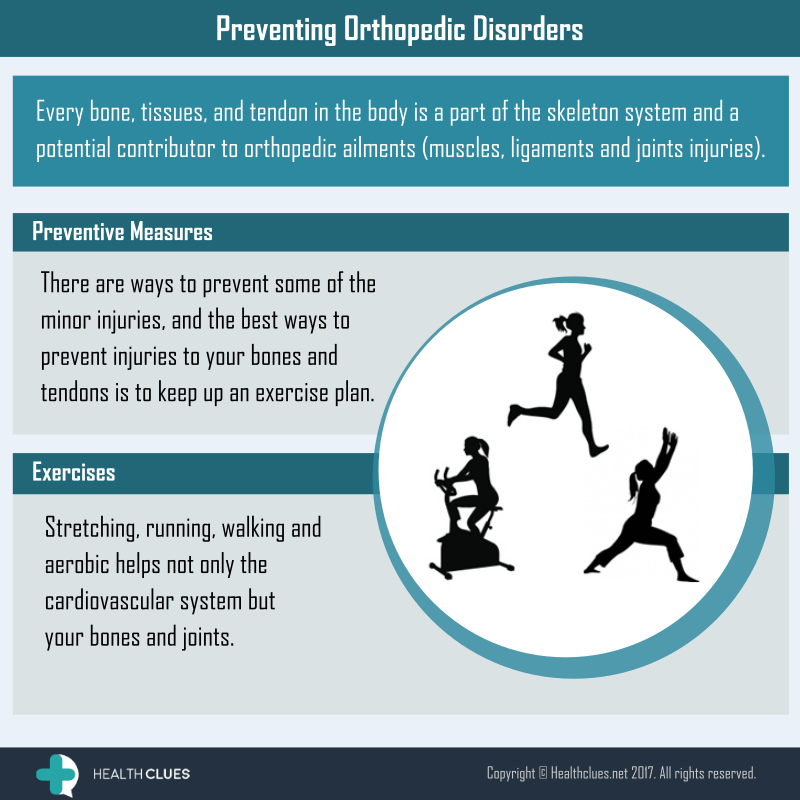 Excellent Article, these preventions are definitely helped to Orthopedic Patients.Thanx for sharing.